The sporty Mazda Mazdaspeed3 07-13 has drivers excited about swift performance,crisp handling, rear wheel drive and a manual transmission. Addressing the common concern of soft and vague clutch feel, ACT proudlyannounces solutions developed specifically to enhance the drivingexperience, as well as providing extra torque capacity for future engineupgrades. ACT's new performance clutch systems for these applications include a Heavy Duty pressure plate, a Streetlite flywheel, choice of disc, releasebearing, pilot bearing and alignment tool. The Heavy Duty pressureplate offers a sportier feel with substantially improved feedback ascompared to the soft and numb OE pedal feel while also providing a 70% clamp load load increase over the stock unit. ACT Streetlite flywheels are well known for safely lowering the moment of inertia, allowing quicker acceleration withoutthe engine modifications. The ACT Street kits combine the Heavy Duty pressure plate with a performance organic street disc. The disc featurespremium organic friction materials able to withstand increased heat and abuse, steel-backed linings for high-burststrength and modifications engineered for quicker shifting. 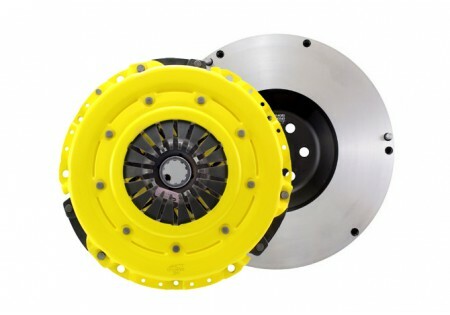 The ACT Street clutch kit provides smooth engagement andsignificantly improved durability. These kits meet SFI Spec 1.1 and have an increased torque capacity of 415 ft-lb. 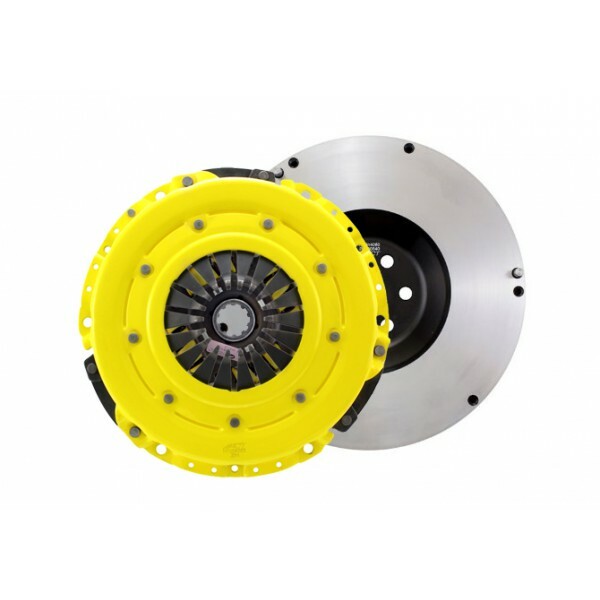 The ACT Race clutch kits combine the Heavy Duty pressure plate with a cerametallic Xtreme Race disc, which is availablein 6 and 4-pad spring-centered and rigid-hub designs. These discs are very durable while allowing for quick shifting. TheXtreme Race discs are for high-powered engines and recommended for track use only. These kits meet SFI Spec 1.1 and will hold 539 ft-lb. of torque.